C'mon, who doesn't love a marshmallow chick? 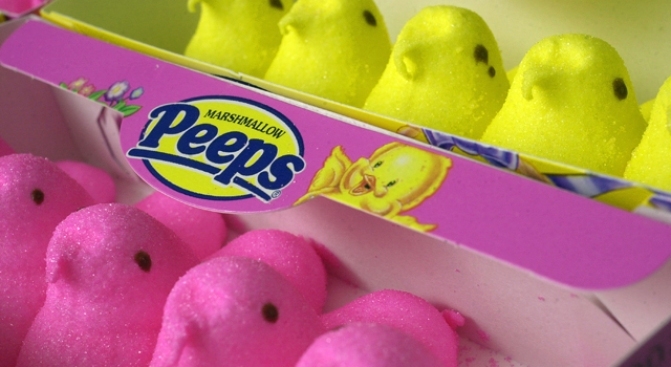 The pastel marshmallow candies known as Peeps are officially not just for eating anymore. That's right. All you Peeps followers out there will soon be able to take your Peeps love to a new level with the first-ever Peeps & Co. store, scheduled to open in November at National Harbor in Oxon Hill, Md. The variety of Peeps paraphernalia will include T-shirts; plush Peeps in chick and bunny shapes; Peeps pillows, pens and key chains; and Peeps china, according to a spokeswoman for Peeps parent company Just Born. How is it that Peeps are getting their own store while some of us are losing our houses? The cult-status sweets that usually come out at Easter are part of the growth industry of candy. According to market research firm Mintel, sugar confectionary sales grew an estimated 4.3 percent to $2.1 billion last year after flatlining for several years.